Simple and sleek our talia sectional is a nice addition to any modern living room. Wrapped in a luxurious white bonded leather match with full foam seating, this sectional was crafted from comfort. Featuring attached seat and back cushions, a sinuous spring base and a webbed back. 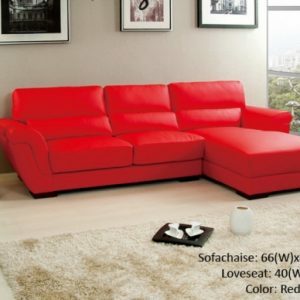 Keep everything within an arm’s reach with a built in table top at the end of the sectional.